Turkey (25.5% dry » 58.21% fresh*), whole white rice, vegetables and herbs (15%), whole brown rice (14%), whole oats, whole barley, turkey fat. Micro nutrients: Vitamins A, Beta Carotene, C, D, E, K, Thiamine, Riboflavin, Niacin, B complex. Choline, Folic Acid, Calcium, Chromium, Iron, Magnesium, Phos, Selenium, Zinc. Plus all other essential elements. All from natural sources. Protein 22%, Oil 9.5%, Fibre 3%, Ash 5%. 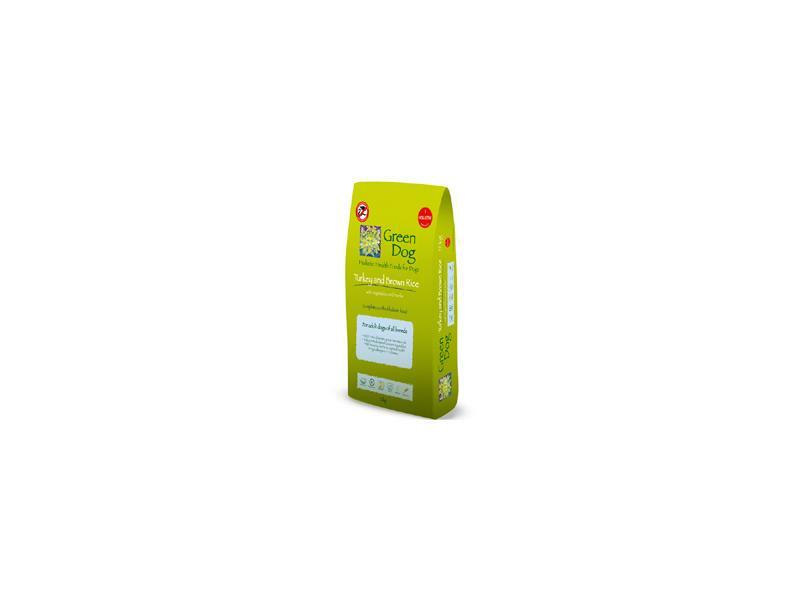 There are currently no questions for Green Dog Food Turkey & Brown Rice - be the first to ask one!